March 30th, 2018. 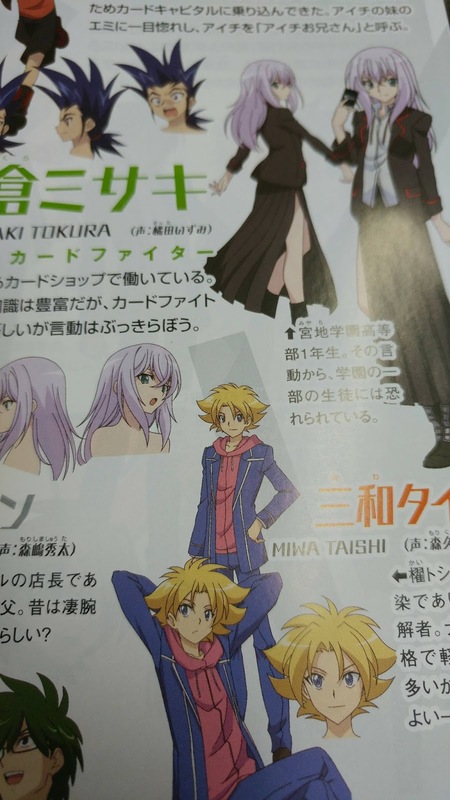 Leaked images from what appear to be the next issue of Monthly Bushiroad magazine reveal several of the upcoming characters from the rebooted Cardfight!! Vanguard anime series, among them Foo Fighter Kawanami Minami. 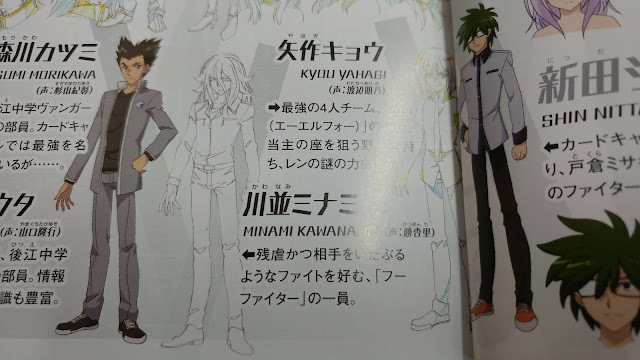 Voiced by Katsu Anri, Minami's clan is unstated but he is based on the Foo Fighter of the same name fought by Kai Toshiki in chapter 5 of the manga. That version of Minami was the manga's first Megacolony user, and the first character to using the Machining subclan across the whole series; his deck was built around Machining Stag Beetle. 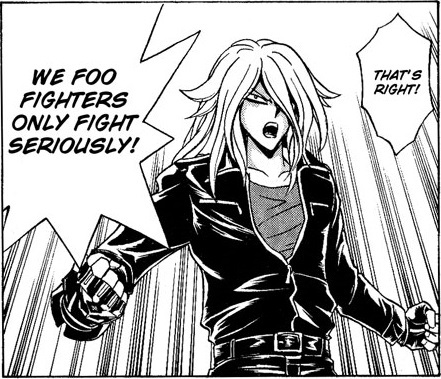 "A member of Foo Fighter who enjoys brutally fighting his opponents." Also among the returning cast are Morikawa Katsumi, Izaki Yuuta, Yahagi Kyou, Nitta Shin, Miwa Taishi, Katsuragi Kamui, Tokura Misaki, in addition to Aichi, Kai, and Ren. This season is to once more portray the conflict between Team Q4 and Team Foo Fighter. Of note is that Minami's name was never stated in the original manga, but author and illustrator Itou Akira tweeted it after the series ended, admitting that he forgot to mention the name during the series' run. Suzugamori Ren is described in the magazine as a first-year high school student at Fukuhara High and the leader of Foo Fighter's AL4. (Apex Limited 4) He possesses the ability PSY Qualia, which allows him to hear the voices of units on planet Cray, and refers to Tetsu as "Tecchan" and Asaka as "A-chan." Meanwhile Tokura Misaki is a first-year high school student at Miyaji Academy, while Miwa Taishi is a first-year at Hitsue High. The new anime series, codenamed "Origin," will begin airing May 5th, 2018, on TV Tokyo and affiliated stations. 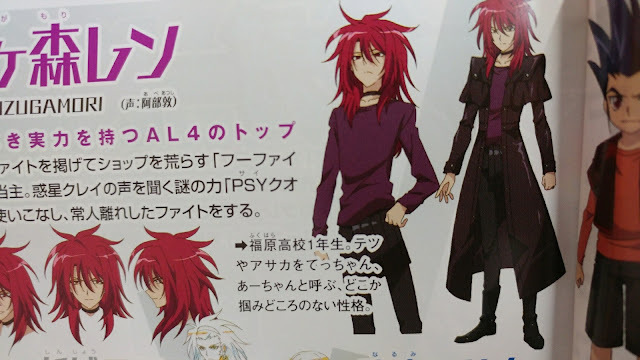 It will be simulcast with English subtitles on YouTube and Crunchyroll, and unlike past seasons will be in a late night to early morning timeslot. 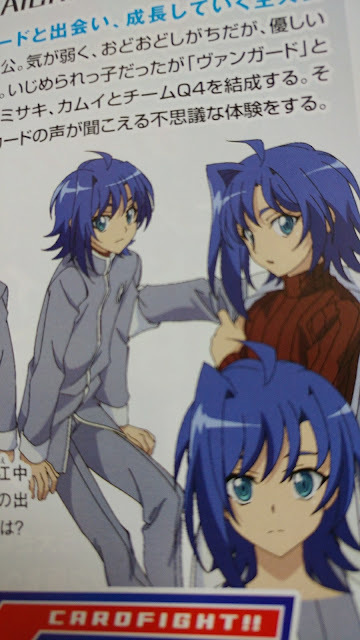 Trial Deck 01: Sendou Aichi and Trial Deck 02: Kai Toshiki will launch in Japanese May 11th, 2018, and in English June 8th, 2018. BT01: UNITE! TEAM Q4! will launch in Japan May 25th, 2018, and in English June 22nd, 2018.